Lemax Village Railway Stop Light Set of 2 depicts two individual flashing railway crossing warning signposts, to compliment your miniature village display. Scaled and themed for placement in and amongst a Lemax miniature village railway such as Starlight Express or the Lemax Yuletide Express. 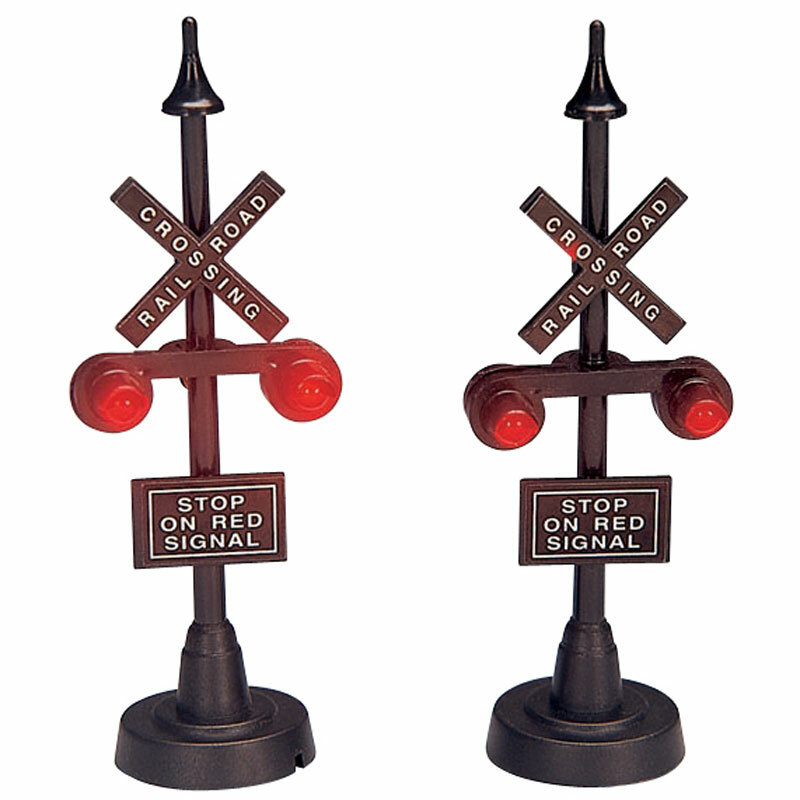 The railway stop signs use battery operation to power the red alternate flashing warning lights. These self standing railway warning signs, are a popular choice since joining the Lemax Village collection in 2003.